Happy National Day, Romania and Romanians! As you could probably understand from the title of this article, December 1st is the National Day of Romania, the country where I was born and where I live. Though this holiday was set after the 1989 Revolution, it actually talks about a major event that affected the course of my country’s history 95 ago. On December 1st, we celebrate the unification in 1918 of the regions of Transylvania, Banat, Crișana and Maramureș with Romania. The Great Union was enacted by the coronation, 4 years later, of King Ferdinand and Queen Marie in the city of Alba Iulia, the same city where the National Assembly had declared the Union in 1918. 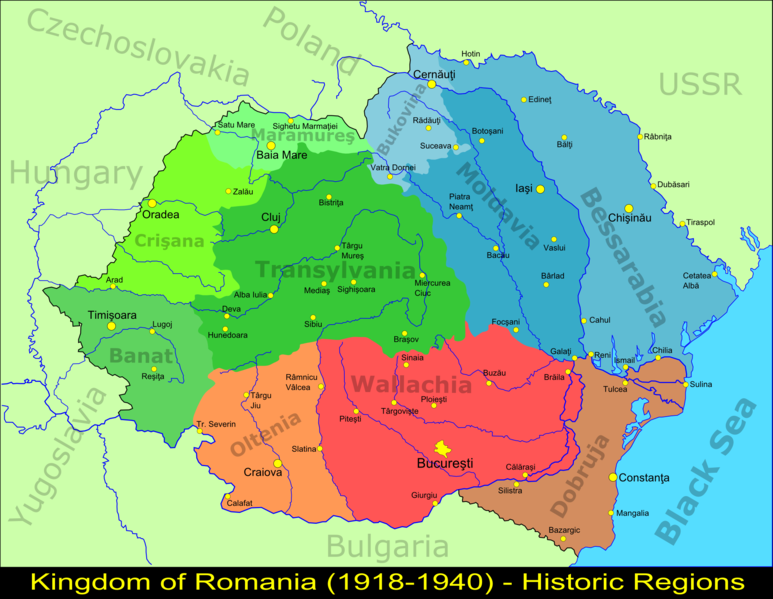 Below is a map of how the Kingdom of Romania – also known as Greater Romania – looked like in 1918, after the Union. Today it lacks Bessarabia and the southern part of Dobruja.